If you need fence repair services, it's time to call Sudbury Handyman services. He can replace those place boards or fix that loose fence gate, so that your fence works properly and enhances the look of your yard. Common reasons why fences need to be repaired are wood rot, rust, warping, frost, and unfortunate encounters with a weed whacker. 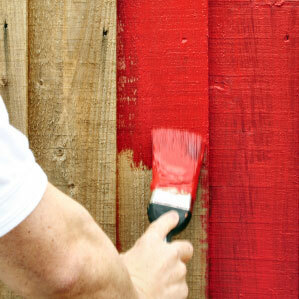 After Sudbury Handyman services fixes your fence, he can also paint or stain it. One call to Sudbury Handyman services takes care of all of your home repair needs. No job is too small for our fully trained professionals. We can tackle everything on your "To Do" list from drywall repair to fence repair - call Sudbury Handyman services today. Consider Sudbury Handyman services your professional fence contractor . We can repair all types of fences, including vinyl, wood, chain link, and more. In addition to fence repair, Sudbury Handyman services has fully technicians who arrive to your home on time and completes the job right. We won't waste your day because Sudbury Handyman services comes ready to work and has a minimum of 15 years experience in various trades. Let us cross items off your "To Do" list just call Sudbury Handyman services. Fences are practical ways to keep children and pets safe, mark property lines, and enhance privacy. Each fence style has its advantages, and Sudbury Handyman services can repair or install a wide variety of fences. Whether you choose chain link for keeping pets in the yard or a tall vinyl fence for privacy,Sudbury Handyman services is a fully trained contractor who applies attention to detail and quality workmanship. In addition to installing fences, Sudbury Handyman services can also repair your existing fence. 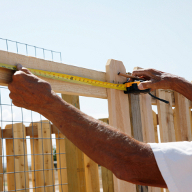 Leave fence installation work to Sudbury Handyman services - your local fence contractor. Call your local Sudbury Handyman Services, and we'll set up a time to come to your house when it's convenient for you. We can even cross off the other projects on your "To Do" list. From door installation to drywall repair and more, Sudbury Handyman services will have your project finished according to our guarantee - We will be on time and the work will be done right the first time every time.